Aston Villa suffered a 3-0 defeat to Wigan Athletic on Saturday and failed to register a shot on target at the DW Stadium. With his side 1-0 down at the time, Dean Smith made three substitutes after the hour mark in an attempt to find an equaliser and get back into the game. Scott Hogan was overlooked, however, which might be the nail in the coffin of his chances of a comeback. The 26-year-old has spent the season on the periphery at Villa Park, picking up just 140 minutes of football in all competitions and has been an unused substitute in each of their last four games. 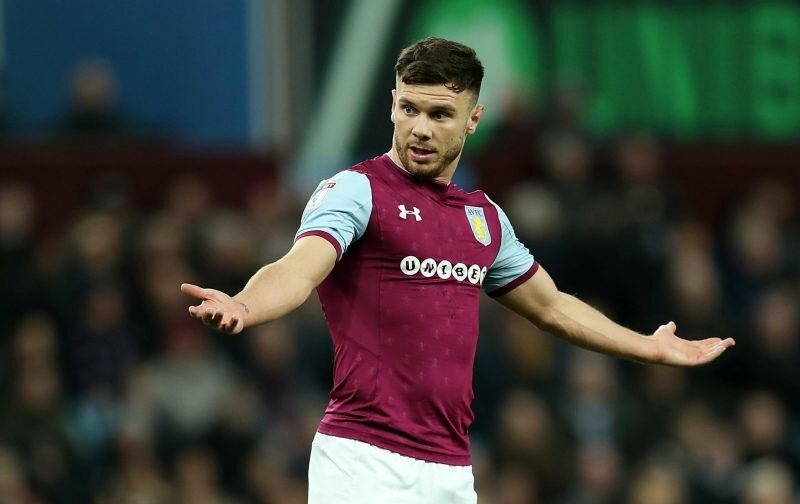 Since returning from his exile in the first-team in late-September, Hogan has been left on the bench in 11 of Villa’s 17 league outings, averaging just 11 minutes of playing time per appearance. After being frozen out by former manager Steve Bruce, Hogan may have felt he’d have a chance of featuring under Smith. The Irish centre-forward played 34 times under Smith at Brentford before joining Villa in January 2017. It hasn’t worked out for him in the Midlands, however, which suggests another move could be on the cards as Tammy Abraham and Jonathan Kodjia are ahead of him in the pecking order. Villa don’t have much depth in attack, but if Hogan can’t even get picked from the bench when the side are in dire need of a goal, when will he?